Notice : “Tabenba” has changed their name to “Tabenbaru”. Nothing has changed except that. Lots of tasty lunch spots are around my office. Fresh seafoods, broiled or grilled fishes and noodles can be eaten at anytime. But there’s one thing that I feel dissatisfied. That is…. there is no restaurants that serve very spicy foods. Of course, they have some medium spicy foods. 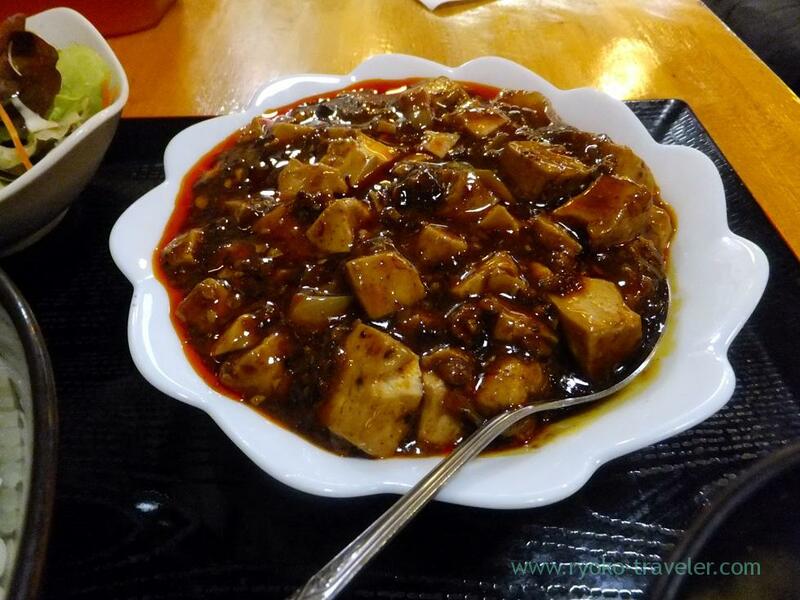 But I want to eat extremely hot foods like mapo tofu with plenty of sichuan peppers ! I’ve been work there more than 10 years, but recently I heard there’s one izakaya that serve severe spicy mapo tofu. 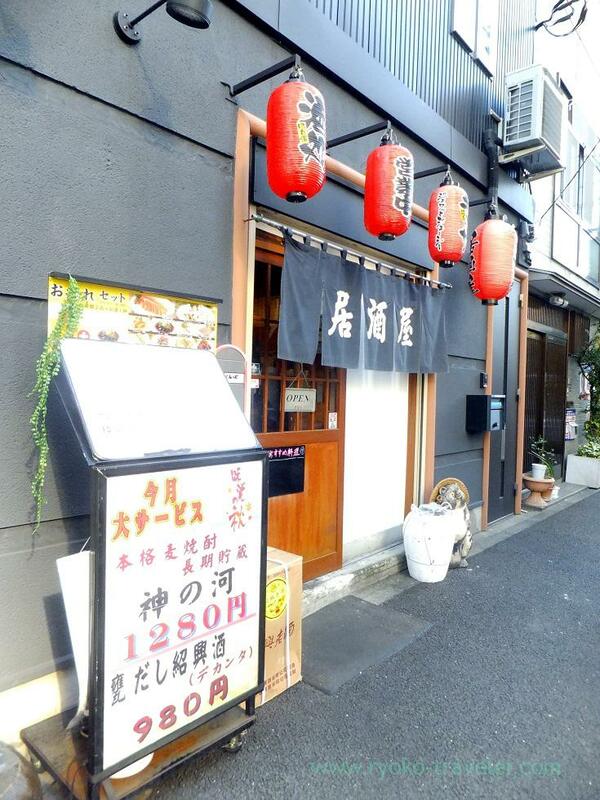 And that izakaya is … When I go to Hajime Sengyo-ten, every time I go through in front of that izakaya. But anyway, I tried it. They serve mapo tofu, Daddan rice noodles, deep fried oysters in season, grilled salted saury, and young sardines bowl, leftover meat of tuna bowl special to Tsukiji, etc at lunchtime. What is the specialty of the shop !????? Surely ! 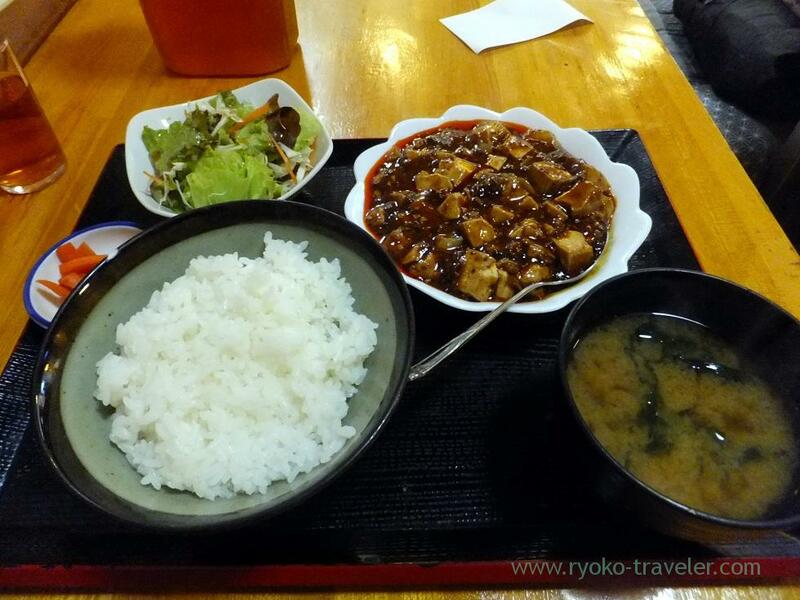 I ordered a Sichuan mapo tofu set (本格四川麻婆豆腐, 850 yen) ! I took no notice to the shop until that day. Over 10 years. I wan’t satisfied with the level of spiciness all the same. And also it was thicken liquid because of containing potato starch and it wasn’t my taste. But it was rather tasty. 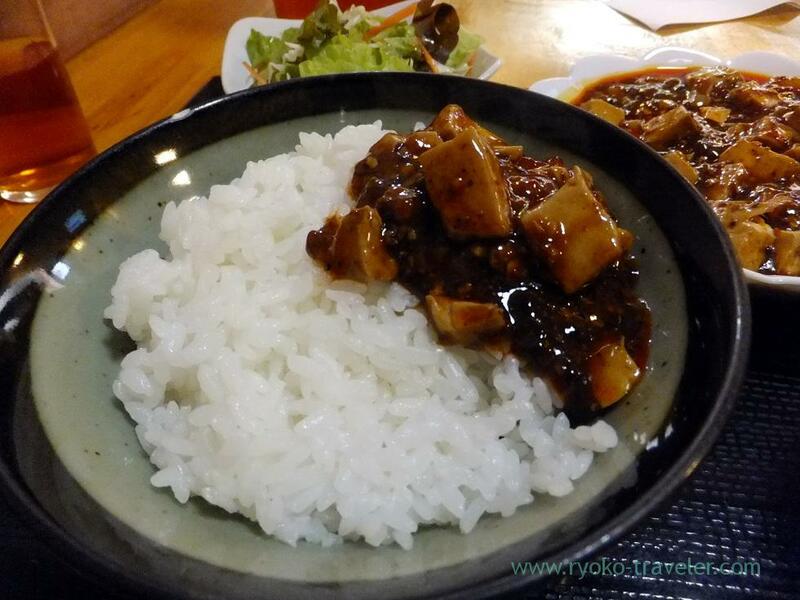 We can ordere another lunch sets with small portion of mapo tofu as side dish. In that case, we have to pay another 50 yen. So, if you want, you can order your tuna bowl with small portion of mapo tofu. That must be seen at Tsukiji only. On the way I was eating, the waitress put it on my table. 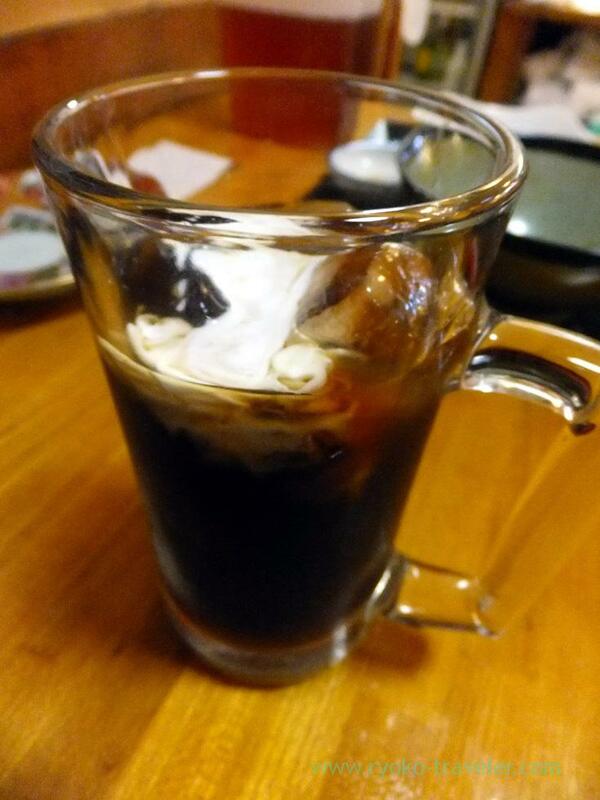 Iced coffee. I didn’t know. I was surprised. The menu didn’t say the sets have drink. ahh.. this looks really good and i really shouldn’t have seen it at this time of the night.